I have completed a number of small projects around the house already this year and I feel a great sense of achievement. To actually get in and tick them off my ‘want to do’ list has made me feel, well, good. I thought the emotion might be pride. I don’t like the connotations connected to pride. On closer inspection I realise it’s joy I feel. If the power of joy can help get things done and keep me motivated, I’m choosing joy as my motivator this year. There is some research behind engaging with your emotions to create change in your life. Dr Tara Brach says we can use the eight main emotions to help us reach our goals. As rational beings we require the power of emotional engagement to propel us and keep us motivated. For instance, someone might think the local creek needs to be cleaned up (rational thinking) but it may not be until their disgust (emotion) becomes the powerful motivator that they join the ‘clean up Australia day’, or similar, activity to restore it. Another’s anger may be the spark that leads them to campaign for equality. Love is powerful emotion that drives people to do incredible things for others. Instead of shying away from or hiding our emotions, let’s harness the power of emotion to get things done, to lead fulfilling lives of integrity and adventure. How might you engage with fear, anger, disgust, shame, sadness, love, joy and surprise to move you to take positive and purposeful action this year? Reading has been a huge part of my life, since, well, almost forever. I loved being read to as a child and once I could read I enjoyed learning new things that came from understanding print. Exploring different literary periods at university enhanced my insatiable need to consume the printed word. A few years back I set myself a goal of reading fifty books in the year. I ended up reading many more than that. It was a great experiment and afforded me the opportunity to explore different genres and forms of writing. Since then I have been reading anything that takes my fancy: I’ve read whole series, one-off books of interest, recommendations from friends, plays, novels, non-fiction etc. At times I’ve struggled to select books and found myself hankering for a little guidance in my selections. Now that the new year has begun and many of us are pondering the terrain ahead and how we can make it joyful, I’ve been inspired to consider focusing my reading choices and reading with purpose. set somewhere you’ll be visiting this year. Sounds like fun. Check out this link for more ideas. 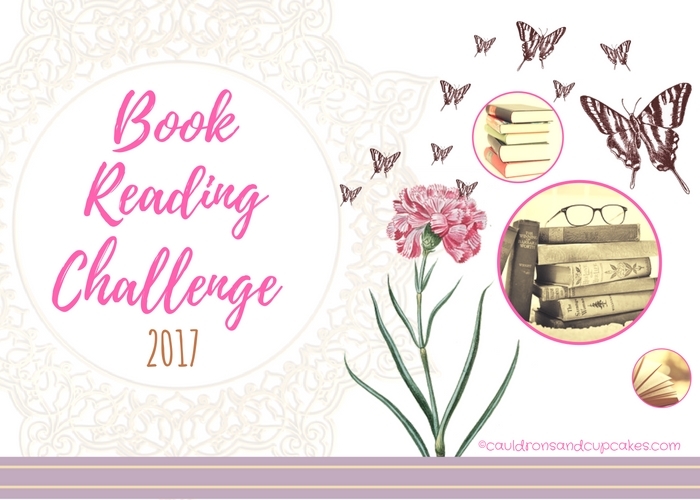 Then I read my friend Nicole Cody’s blog and she had an interesting take on a reading challenge and it sits very nicely with the idea of paying it forward and donating to charity. Her idea is to read a book a month, put aside a small amount of money for each book read and then at then end of the year buy a book and donate it to charity for Christmas. How neat is that? Tim Ferriss, in his 5 bullet Friday, always has some interesting book recommendations – things I would not select myself. He is a great source for reading inspiration, as is Pinterest, the weekend newspaper and Avid Reader bookshop. Having been motivated by the two reading challenge ideas and having good sources for recommendations (although I do have enough unread books on my shelves and in my kindle that I probably don’t need to purchase a book this year) I am going to combine the two ideas and read at least a book a month from a different category, putting aside a few dollars for each book I read to purchase one for someone in hospital, a nursing home or shelter at the end of the year. Where will your reading take you this year?